The Winner’s Crime is not what it seems to be, it’s much more. It’s a an intricate and well thought plot that will catch you in its spider’s web and you won’t even see it coming. The ending of The Winner’s Curse left us all hanging and wanting more. I bet no one expected Krestel to decide to marry the emperor’s son in exchange of freeing Herran as an independent country (although it would still be under the control of the empire, Arin would be made governor and all those politics). I’ll be keeping this review short so as to avoid giving out spoilers. We were left with an angry and frustrated Arin, who had to watch his loved one bear the mark of the royal engagement, and a resigned but not in the least less smart and badass Krestel, who had sacrificed her love for a better life for Arin and the Herrani people. However, things don’t go exactly according to the plan and Krestel sees herself in a world of conspiracies and politics that even her can’t compete in. The emperor’s cunning plans and his network of people will turn Krestel’s life into a game where she never knows what the right move to make is. The conversations between Krestel and the emperor reminded me of a predator chasing its prey. Beautiful dialogue. We get to understand Krestel’s surroundings and new life right at the beginning of the book. Krestel and the emperor are having a talk and you can see that everything that the emperor does has a meaning behind it or an ulterior motive. I loved how Arin and Krestel’s vulnerability became apparent throughout the book. It showed that no one can be perfect and things sometimes don’t go according to the plan. Now, the relationship between Krestel and Arin killed me. Why? Probably because there was none except for when Arin had to go to the palace to the engagement party or by the end. And don’t get me started on that. My heart ached, it throbbed. I was wide-eyed in the middle of the subway because I just wanted to scream at Arin for his incredible bad timing and sense of opportunity. And then… AND THEN. We have Krestel in an unthinkable position! Marie Rutkoski has ended a book like many wouldn’t, she defied the “let the reader be happy” unspoken law: she broke my heart but in a beautiful and brilliant way. I never anticipated that last chapter and couldn’t have asked for more. It was pure perfection and it made up for some of the slow parts of the book. Summary: ” Sixteen-year-old Neryn is alone in the land of Alban, where the oppressive king has ordered anyone with magical strengths captured and brought before him. 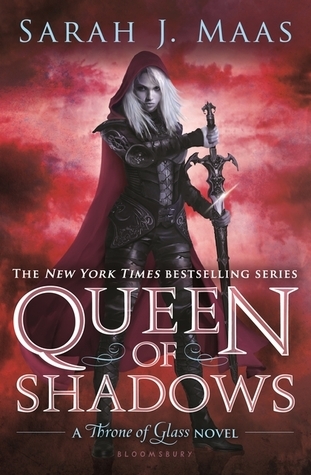 Eager to hide her own canny skill–a uniquely powerful ability to communicate with the fairy-like Good Folk–Neryn sets out for the legendary Shadowfell, a home and training ground for a secret rebel group determined to overthrow the evil King Keldec. I really, really loved this book! It’s so different from what I’m used to read, reading it was like a breath of fresh air or eating a different type of chocolate (very delicious chocolate!). 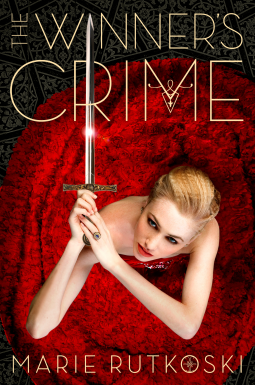 Juliet Marillier created a world with a strong, female character who has a long journey in front of her. Neryn, the main character is traveling with her father, walking from place to place, having barely any money. Neryn’s father, like Neryn, lost everyone, they were all killed by a very dangerous military group, the Enforcers, who work for the king, Keldec, king of Alban. Keldec rules Alban with an iron fist, condemning thousands of people to death for having gifts, magical gifts. Those people with special talents are called the Impure, meaning they have to be “cleansed”. Neryn and her father are running from the Enforcers who are looking for her. However, Neryn’s father decides to play a luck-game (on a boat), he gets drunk, end’s up losing all their money, and bet’s Neryn (asshat). He loses and Neryn is then given off to an enigmatic traveler, Flint. Surprisingly, Flint and Neryn don’t have what would be called a cliche romance. In fact, they split ways. 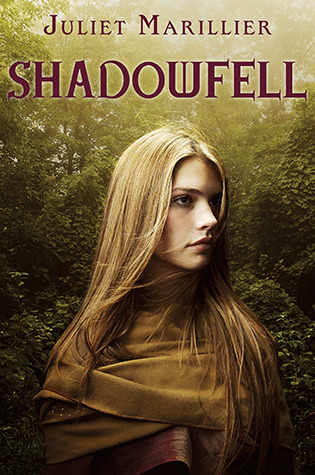 Neryn travels by herself to find Shadowfell, a place where people like her live. It is also a place where rebellions live. Neryn faces a lot of hardships, illness, the death of a friend, danger, the Enforcers, and many others. In spite of this, Neryn finds hope in the Good Folk. The Good Folk are a race of (I didn’t want to use this word, but that’s exactly what they are…) magical beings who remain hidden from the outside world. These beings help her on her journey with their knowledge, some even become her friends, others…not so much. 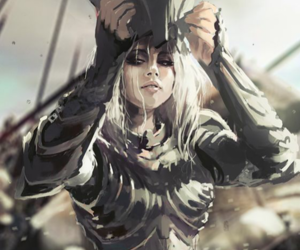 It really touched me to see the evolution on Neryn, some people say she’s weak, but I strongly disagree with them, Neryn is one of the strongest characters I’ve ever had the pleasure to “meet”! If you want to read a sweet, oh-so romantic story, I don’t recommend you this book, this book does have some romance, but not the usual kind. This story is not focused on love, but on strength and fight for a better place.